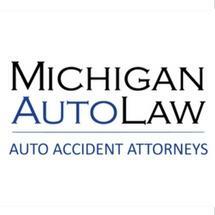 Michigan Auto Law, in Farmington Hills, Michigan, provides aggressive, effective personal injury litigation services for people injured in car, truck and motorcycle accidents on roads and highways throughout Michigan. For more than 60 years, individuals and families seeking compensation for motor vehicle accident injuries or the wrongful death of loved ones have turned to Michigan Auto Law, for help with recovering full and fair monetary damages from large insurance companies. Attorneys understand how a truck, motorcycle or auto accident can upend your life. You will work directly with your attorney throughout your case and can expect responsive communication and exceptional client service. The law firm has recovered more million-dollar settlements and trial verdicts than any other motor vehicle accident litigation firm in Michigan. The firm has been named in the "Top Year-End Verdicts and Settlements" by Michigan Lawyers Weekly newspaper for 15 consecutive years and the publication has said it is, "Arguably, the best in the business." The firm offers a free consultation and case evaluation and handles all motor vehicle accident litigation cases on a contingency-fee basis. No attorneys' fees unless you recover money in a settlement or jury verdict.